Robot and robotics news and information - keep up with the latest engineering innovations. Compared to most hybrid platforms, which have separate mechanisms and actuators for wheels and legs, our leg-wheel hybrid mobile robot, Quattroped, uses a “transformation mechanism” that deforms a specific portion of the body to act as a wheel or a leg. From a geometrical point of view, a wheel usually has a circular rim and a rotational axis located at the center of the rim. The rim contacts the ground and the rotational axis connects to the robot body at a point hereafter referred to as the “hip joint.” In general, with wheeled locomotion on flat ground, the wheel rotates continuously and the ground-contact point of the wheel is located directly below the hip joint with a fixed distance. In contrast, in legged locomotion the leg moves in a periodic manner and there is no specific geometrical configuration between the hip joint and the ground-contact point; thereby, the relative position of the legs varies frequently and periodically during locomotion. Based on this observation, shifting the hip joint out of the center of the circular rim and changing the continuous rotation motion to other motion patterns implies the locomotion switches from wheeled mode to legged mode. This motivated us to design a mechanism that directly controls the relative position of the circular rim with respect to the hip joint so it can generate both wheeled and legged motions. Because the circular rim is a 2-dimensional object, the most straightforward method to achieve this goal is to add a second degree of freedom (DOF) that can adjust the relative position of the hip joint to the center of the circular rim along the radial direction. The motions of the two DOFs are also orthogonal to each other. In addition, the same set of actuation power can be efficiently used in both wheeled and legged modes. Anybots allow remote presence today. They can be rented for just $600 a month. You can purchase your own for just $15,000. The newest version, just unveiled at a CES has a much bigger screen (which seems very wise to me). This is another example of robots making it into real use. While I am sure few workplaces are ready for this jump today, 10 or 20 years from now a telepresence robot (that can do much more) is likely I think to be significantly used. Not only will functionality increase, prices will drop dramatically: as the wonderful combination so often happens with technology. There is a great deal of effort going into making commercial viable “personal” robots. I think these efforts will make significant inroads in the next 10-20 years. My old office wouldn’t have been willing to pay $15,000 but one of our developers looked into creating his own (after he moved and was working remotely). He hasn’t quite gotten it done yet, but may at some point. Hong came by his interest in science naturally. He was born in 1971 on the exclusive Palos Verdes Peninsula, outside Los Angeles, and his father, Yong Shik Hong, worked as an aerospace engineer at the federally funded Aerospace Corp. The family returned to Seoul in 1974 so the elder Hong could lead South Korea’s short-range missile program, at the bidding of then-President Park Chung Hee. Korean fathers of that era were strict and remote. Hong’s father was engaged and intellectually indulgent. He installed a work bench in Dennis’s room when he was 4, complete with a hammer and saw. He led the children in chemistry experiments and brought home model airplanes from America. Dennis Hong built things with scraps of wood and metal and bits of plastic. He disassembled toys and stored the parts in a chest beneath his bed. Hong traveled to America to complete his university study, following his father’s credo, “Big fish must swim in the big sea.” He earned a bachelor’s in mechanical engineering at the University of Wisconsin and a master’s and doctorate at Purdue. Dennis’ success illustrates several themes repeated in posts on this blog: the USA attracting talent from overseas, kids curiosity and exposure to science and engineering leading to great things, the value of strong science and engineering programs and professors. Robotics continue to progress very quickly. The economic impact of robotics is large already (largely in manufacturing) and will continue to grow dramatically. Likely robots will find their way into much more diverse areas over the next 2 decades. The Robotics and Mechanisms Laboratory, lead by Dennis Hong, seems poised to play a big role in that future. 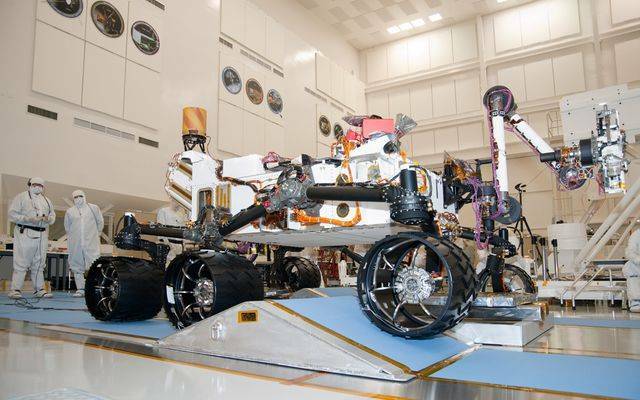 Curiosity is the name of the new rover from NASA. It will be launched to continue the exploration of Mars so successfully done by Spirit and Opportunity (2 previous Mars rovers that did some amazing work and laster years longer than expected). The rover is NASA’s Mars Science Laboratory, a mobile robot for investigating Mars’ past or present ability to sustain microbial life. Once on the surface, the rover will be able to roll over obstacles up to 75 centimeters (29 inches) high and travel up to 90 meters per hour. On average, the rover is expected to travel about 30 meters per hour, based on power levels, slippage, steepness of the terrain, visibility, and other variables. The rover will carry a radioisotope power system that generates electricity from the heat of plutonium’s radioactive decay. This power source gives the mission an operating lifespan on Mars’ surface of a full martian year (687 Earth days) or more, while also providing significantly greater mobility and operational flexibility, enhanced science payload capability, and exploration of a much larger range of latitudes and altitudes than was possible on previous missions to Mars. One of the enduring puzzles in biology and the social sciences is the origin and persistence of altruism, whereby a behavior benefiting another individual incurs a direct cost for the individual performing the altruistic action. This apparent paradox was resolved by Hamilton’s theory, known as kin selection, which states that individuals can transmit copies of their own genes not only directly through their own reproduction but also indirectly by favoring the reproduction of kin, such as siblings or cousins. While many studies have provided qualitative support for kin selection theory, quantitative tests have not yet been possible due to the difficulty of quantifying the costs and benefits of helping acts. In this study, we conduct simulations with the help of a simulated system of foraging robots to manipulate the costs and benefits of altruism and determine the conditions under which altruism evolves. By conducting experimental evolution over hundreds of generations of selection in populations with different costs and benefits of altruistic behavior, we show that kin selection theory always accurately predicts the minimum relatedness necessary for altruism to evolve. This high accuracy is remarkable given the presence of pleiotropic and epistatic effects, as well as mutations with strong effects on behavior and fitness. In addition to providing a quantitative test of kin selection theory in a system with a complex mapping between genotype and phenotype, this study reveals that a fundamental principle of natural selection also applies to synthetic organisms when these have heritable properties. In a first-of-its-kind experiment, Bongard created both simulated and actual robots that, like tadpoles becoming frogs, change their body forms while learning how to walk. And, over generations, his simulated robots also evolved, spending less time in “infant” tadpole-like forms and more time in “adult” four-legged forms. These evolving populations of robots were able to learn to walk more rapidly than ones with fixed body forms. And, in their final form, the changing robots had developed a more robust gait — better able to deal with, say, being knocked with a stick — than the ones that had learned to walk using upright legs from the beginning. Bongard’s research, supported by the National Science Foundation, is part of a wider venture called evolutionary robotics. “We have an engineering goal,” he says “to produce robots as quickly and consistently as possible.” In this experimental case: upright four-legged robots that can move themselves to a light source without falling over. Using a sophisticated computer simulation, Bongard unleashed a series of synthetic beasts that move about in a 3-dimensional space. “It looks like a modern video game,” he says. Each creature — or, rather, generations of the creatures — then run a software routine, called a genetic algorithm, that experiments with various motions until it develops a slither, shuffle, or walking gait — based on its body plan — that can get it to the light source without tipping over. Google thinks big. Google thinks like engineers. Google is willing to spend money taking on problems that other companies don’t. They have been developing a car that can drive itself. They see a huge amount of waste (drivers lives and drivers time) and seek a solution. To develop this technology, we gathered some of the very best engineers from the DARPA Challenges, a series of autonomous vehicle races organized by the U.S. Government. Chris Urmson was the technical team leader of the CMU team that won the 2007 Urban Challenge. Mike Montemerlo was the software lead for the Stanford team that won the 2005 Grand Challenge. Also on the team is Anthony Levandowski, who built the world’s first autonomous motorcycle that participated in a DARPA Grand Challenge, and who also built a modified Prius that delivered pizza without a person inside. Robocup 2010 took place in Singapore and 2 German team faced each other in the finals. Robocup is an international research and education initiative. 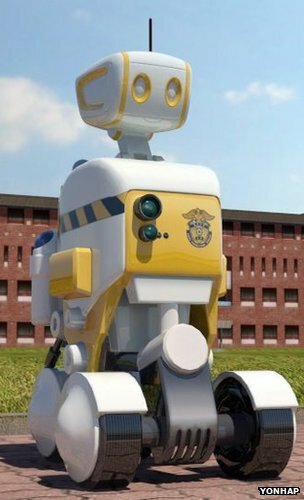 RoboCupRescue is a related effort to develop rescue robots for hostile environments.